Good Luck Mr. K!! You'll do great!! I can't wait to see your video debut!! Marlee loves it when he gets a B A T H at home. (He plays & splashes in the water.) Before his Dad went to Heaven 5 months ago it was always him that gave Marlee his B A T H. He would then let him dry himself by rubbing his wet fur on the spare bed. Of course now that I'm doing it I have to keep up the tradition! Enjoy a bath and I will send you all the luck! Despite arriving at your new home smelling all lovely, you'll soon be able to "lay down your own aroma" in short time. Mama and Dada always do that to me, 'specially if folks come for the evening. I'm sooooo looking forward to seeing your new home. 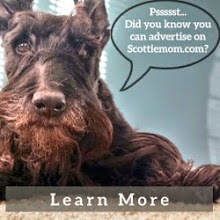 Be good scotties and don't forget to help ScottieMom wherever you can during the move! Don't forget, if you find a place you REALLY like, you gotta mark it big time. 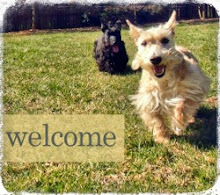 My dogs have always loved to run and roll on the carpets after their baths as well! Sorry about the bath... But I'm looking forward to seeing your video! Sorry about the B-word *shudder*, hope you get loads of treats! 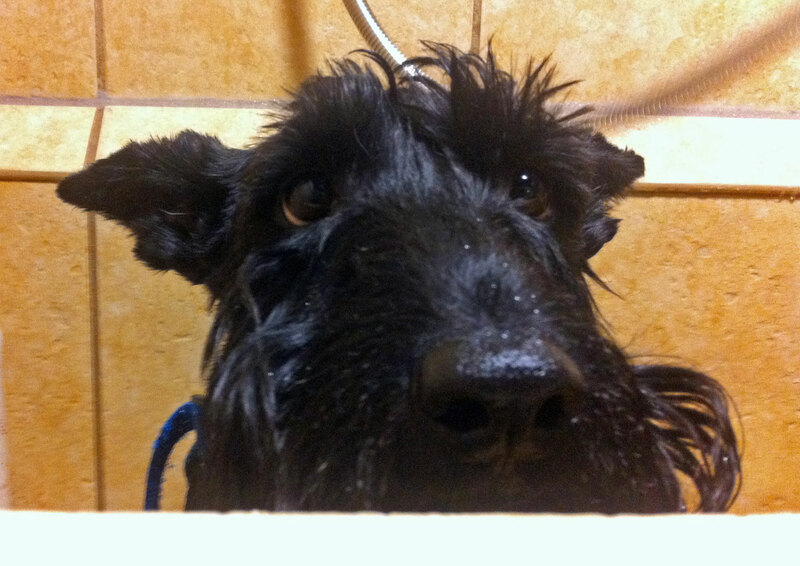 I enjoy a bath, but they try to only give me a bath outdoors. This is because I like to shake before they can get a towel over me. I shake so hard that I soak everyone and everything for quite a distance. I'm not sure why, but they don't like this happening indoors!